The main card of UFC 219: Cyborg vs Holm is filled with intriguing fights, one of which will feature the return of the "Natural Born Killer" to the Octagon. Carlos Condit has been out of action since August of 2016 when he was submitted by Demian Maia in the main event of a UFC on Fox card in Vancouver. 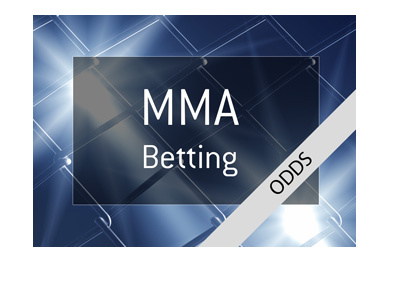 The loss was crushing to Condit, who was looking at another title shot with a win over Maia. Condit, who is one of the most exciting fighters in the UFC, has come ridiculously close to winning the Welterweight title though has never quite gotten over the hump. Condit lost a split decision to Robbie Lawler at UFC 195 for the Welterweight title, as well as a unanimous decision to Georges St. Pierre at UFC 154 for the title. Condit employs a high volume, fan friendly style, and the UFC is very glad that he is returning to the fold. Condit will be taking on Neil Magny, who is coming off of a submission loss to Rafael dos Anjos at UFC 215. Magny is 2-2 in his last four fights, with wins over Johny Hendricks and Hector Lombard, and losses against Rafael dos Anjos and Lorenz Larkin. As of this moment, Condit is the #8 ranked fighter in the UFC's Welterweight division, while Magny is ranked #12. 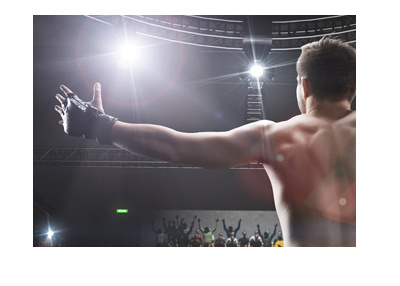 Carlos Condit employs a volume striking strategy that involves kicks, punches, knees and elbows. Condit's strategy in the past has been to wear down his opponents over the course of the fight, and there is no reason to think that this fight will be any different. 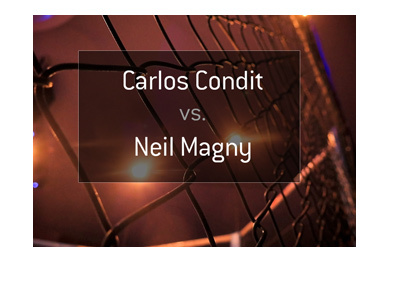 Neil Magny will need to get the step on Condit early, as Condit is a notoriously slow starter. If Magny can win the first couple of rounds, he might be able to weather the storm in the third round to take a decision.